Wondering what is happening with your order? 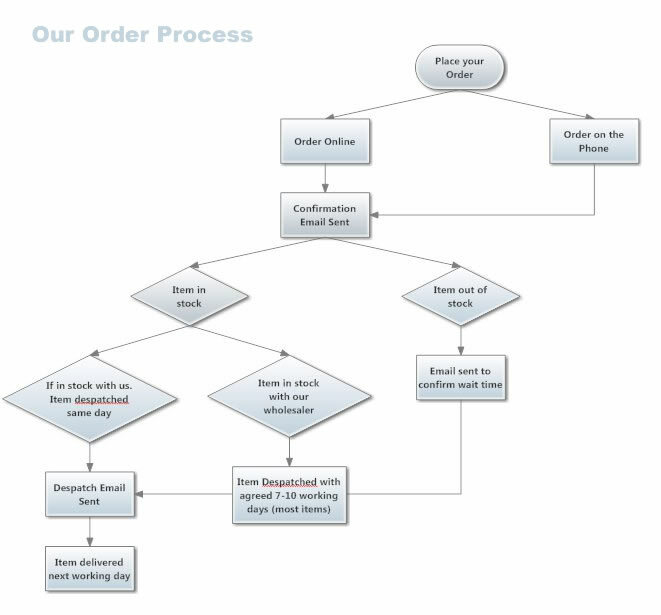 See our order flowchart below to understand how your order is processed. If you have received an email saying your order has been updated and it is now "shipped", then it is on its way to you (except direct deliveries, for which you will be contacted by the manufacturer). We use Royal Mail for small items (remote controls & battery packs etc). We use UK MAIL or APC Overnight for all Gas and Electric Fires. For larger items (e.g. Stoves etc), we use UPN.